This is the cutest little boy line!!! A must have considering I haven't done much with my little boy's baby pics. Love it!!! The owls are my favorite! I am sharing on Two Peas again! Just shared on another message board! Pretty sure i need some of this line! i told my scrappy friends about it! Sharing this one with my daughter who's expecting this summer. These new collections are fantastic. Love this line. Shared on yahoo group. sharing on FB, love the new designs. These new collections are fantastic.Sharing on FB. Great collection. I shared so all my friends can see it. 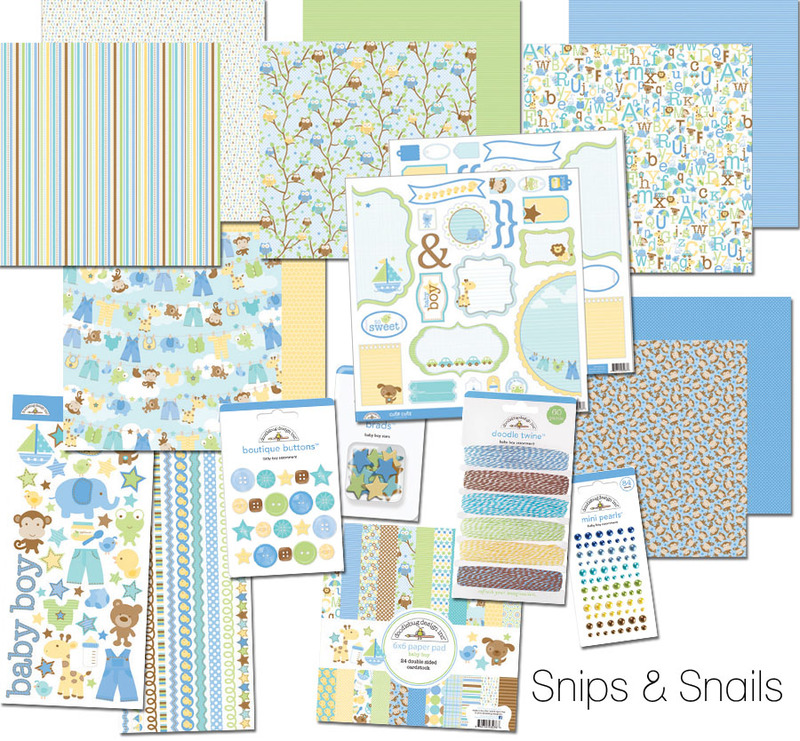 Posted on my blog sidebar about this wonderful Snip Snails Collection giveaway with link. 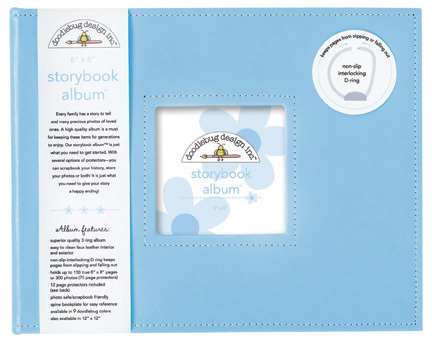 I absolutely Love Doodlebug - I sent an email to everyone in my address book about the new must have products! Thanks and Have a Great Day! I posted on FB, emailed and sent out a text to friends and family!!!! So adorable!! I am so happy I still have baby boy pics to work on! This is just too cute! Oh my goodness this is so cute almost as cute as yesterday's! I am having a hard time and it is only day 2 ha ha! I shared on Facebook thank you for that amazing chance to win! I emailed this to my friends and fellow crafters! I emailed all of my scrappy preiends! I shared this on facebook. Thanks for showing all of the awesome new stuff!! So cute, I've pinned it on Pinterest. I posted it on Facebook!! I'm very excited!! and Pin'd on Pinterest...AND told the ladies at the card swap about it! I'm loving Bubble blue!! AWESOME giveaway! Thanks for the chance to win! I shared the link on my FB page. I shared the link on Facebook - I know several people with new little boys who can use this line! I shared a link of facebook! Thanks for the chance to win. Shared on FB! I love Doodlebug! I emailed this to my friends! Sent a link via e-mail to all my girlfriends! Can't wait to get my hands on this! Oh so cute! Shared on Facebook! Ahhhh, so perfect for the three grandsons that I need to scrap!I shared on Facebook. Pinned it. Awesome line - I have a new nephew I can't wait to scrap pictures of! Oh wow! This is cute too... I know some a little boys'photos that would look good in this collection! Shared on FB. Thanks for the chance! 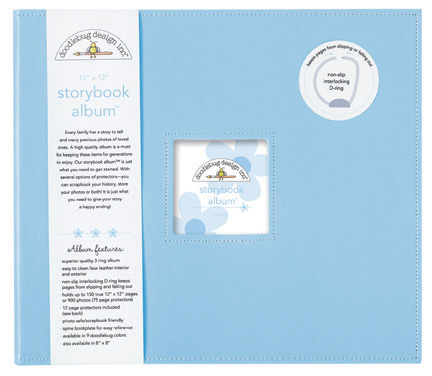 So cute for a Baby Book! Pinned to my Board on Pinterest. So sweet!!! Shared on facebook! 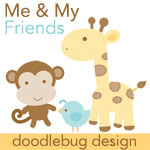 I tweeted about Doodlebug Designs. 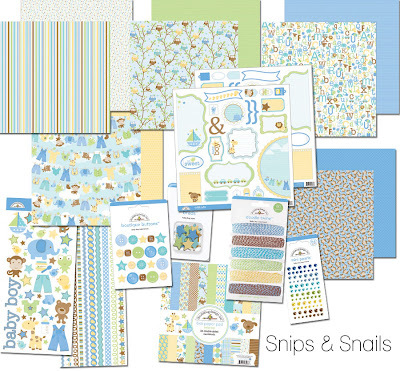 Love me some little boy papers and those cute owls! Telling all my friends!! Emailed my friends and shared the link, love it!! Super sweet baby boy line, I love it! Told my sister about it via email...thanks for the chance to win! Can't wait to see this collection on fabric...hopefully? wish i had a boy...I told all my friends on Facebook who have boys about it...shucks! How adorable! I shared on my blog! I told my friend about this line in a phone call! I also email my scrapbook friends about this line!